Professor Demeyere joined the Faculty of Law in 2003. Professor Demeyere teaches mainly in the areas of Contract Law and Employment Law. Her primary area of research is Employment Law, with a particular focus on the relationship between the contract of employment and the principles of equality and inclusion given expression in Canadian Human Rights Law. 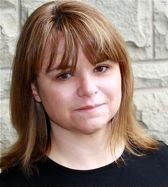 She has published recent works in the Canadian Journal of Labour and Employment Law, the International Journal of Discrimination and the Law, and Queen’s Law Journal. “Developments in Employment Law: Shafron v. KRG Insurance Brokers (Western) Inc.” (2010), 53 Supreme Court Law Review (2d) 235. “Human Rights as Contract Rights: Rethinking the Employer’s Duty to Accommodate” (2010), 10(2) Queen’s Law Journal 299. “Discrimination, Freedom, and the Limits of Contract” (2010), 10(4) International Journal of Discrimination and the Law 219. “Discrimination in Employment by Religious Organizations: Exemptions, Defences, and the Lockean Conception of Toleration” (2010), 15(3) Canadian Labour and Employment Law Journal 435. “Developments in Employment Law: The 2007-2008 Term” (2008), 43 Supreme Court Law Review (2d) 275. “Developments in Labour Law: The 2005-2006 and 2006-2007 Terms” (2007), 38 Supreme Court Law Review (2d) 463. "Developments in Employment Law: The 2002-03, 2003-04 and 2004-05 Terms" (2005), 30 Supreme Court Law Review (2d) 277. "Common Law Actions for Sexual Harassment: The Jurisdiction Question Revisited" (2005), 8 Queen's Law Journal 637. "The Material Contribution Test: An Immaterial Contribution to Tort Law (A Comment on Briglio v. Faulkner)" (2000), 34(1) University of British Columbia Law Review 317. "Issue Estoppel in Employment Law Disputes: Rasanen v. Rosemount Instruments and Its Aftermath" (1998), 6(2) Canadian Labour and Employment Law Journal 299.